yikes. what’s with it’s teeth? mani wouldnt want to meet this thing face to face. it would most likely tear me apart with those teeth they look like the edge of a tattered saw! Apparently this shark was caught in Japan and was transferred to a Marine park there. Where it died hours after it was caught. Sad really. 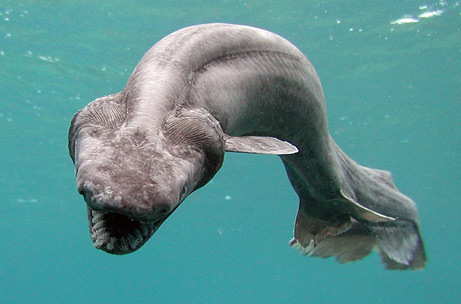 wow the frilled shark is so creepy! 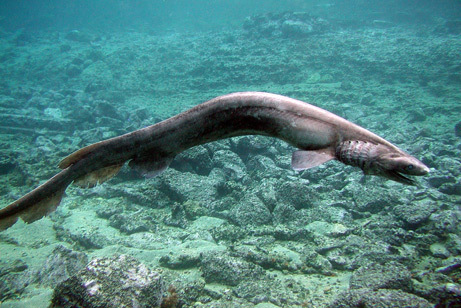 can i say that the frilled shark is creepy! What the heck is that? !should it be frilliy?